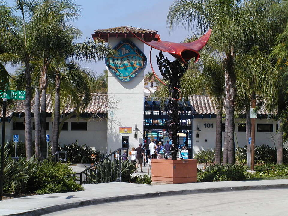 In northern San Diego County, the City of Vista stands out as one of the “50 Fabulous Places to Raise Your Family”. It is located seven miles from the Pacific Ocean and has a mild, Mediterranean climate. The vibe is family-oriented rural, with gentle rolling hills and year-long activities. The population of about 95,000 contains a large concentration of Asian nationalities, including one of two Japanese-American cultural centers in the county. The ethnic mix also includes many Latino-, Chinese- and Filipino-Americans, as well as residents with heritages from Guam, the Northern Mariana Islands, Samoa and Native America. Vista was incorporated in 1963 but became a charter city only in 2007. Educational and employment opportunities help draw new residents to Vista every year – there are over 25 educational institutions and a business park which boasts of more than 800 companies. The median home value hovers just above $300,000, and includes single-family homes, condos and townhouses. Parents can choose from 20 different elementary schools, two middle schools and five high schools. There are eight other educational institutions of various descriptions in the area, including Christian schools, charter schools and academies. Kaplan College and Biola University have campuses in Vista. Moonlight Amphitheatre – The open-air theater was recently renovated, and is known for its summer musical productions. Avo Playhouse – Musicals move to the Avo Playhouse for a winter season. Brengle Terrace Park – Home to the Moonlight Amphitheatre, as well as a senior center, a playground, a community center and a baseball field. Alta Vista Botanical Garden – Located in Brengle Terrace Park, the garden is used as an educational resource for students throughout the county. Guajome County Park – This park is shared with the neighboring community of Oceanside. Its 557 acres support horse-riding trails, campsites and a National Historic Landmark, the Rancho Guajome Adobe. Wave Waterpark – A compact yet complete waterpark that is open during the warm months. Antique Gas and Steam Engine Museum – An open-air setting for old farm equipment dating back to the 19th century.